Welcome to the Days Inn, a Vega hotel near Dots Mini Museum. The Days Inn hotel is ideally located near many local attractions, including Dots Mini Museum, celebrating the history of Route 66. Cadillac Ranch, Don Harrington Discovery Center and Cal Farleys Boys Ranch are located minutes away. 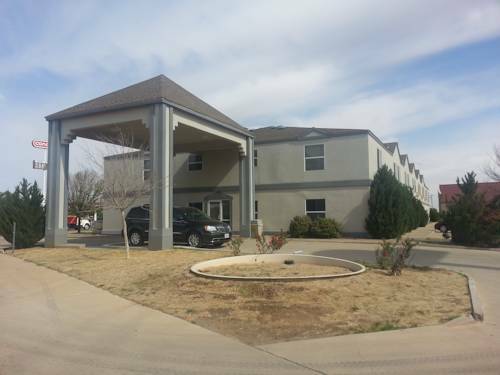 The Adrian Cafe, American Quarter Horse Association and Westgate Mall are located within minutes of this Vega hotel. The Amarillo International Airport, Panhandle-Plains Historical Museum and Wonderland Park are located within easy driving distance. Guests of this Vega hotel will enjoy many full-service amenities, including a free Daybreak breakfast and an indoor pool. This Vega hotel features spacious, luxurious guest rooms. Refrigerators, microwaves, irons and ironing boards are available. All guest rooms include irons, ironing boards, two telephones and cable television. Sofa sleepers are available. Handicap accessible rooms and non-smoking rooms can be requested. Discounts are available for seniors, military and government travelers. Guests have access to a laundry facility. Whether traveling to Vega for business or pleasure, the Days Inn hotel is the perfect location for any guest. Prompt and courteous service is a tradition here. Business travelers will appreciate conveniences like free wireless high-speed Internet access, computer hook-ups and free local calls. Access to fax and copy services is available in the front office. A six-story-tall spire with a big helium molecule in its center, celebrating all of the helium that's buried under Amarillo.